Within the broad field of ceramics, salt-glaze holds a singular place. 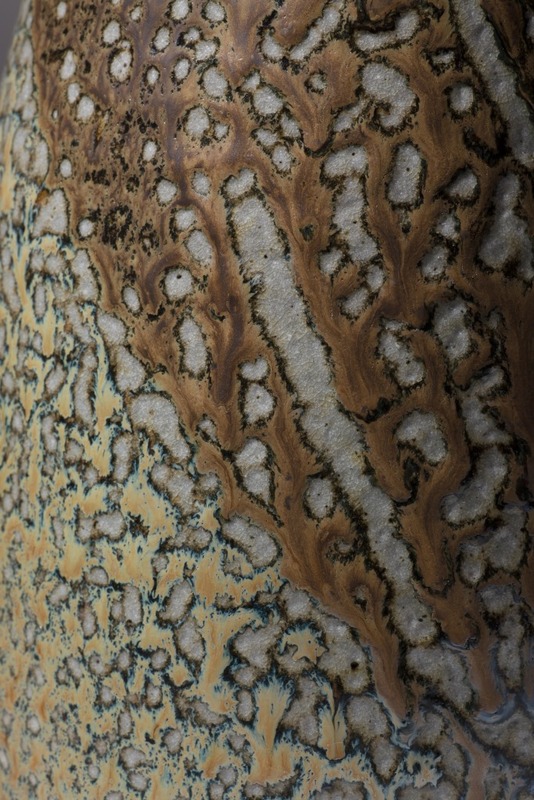 The result of a reaction between common salt and clay, it gives a unique finish that forms an integral part of the ceramic object itself. Salt-glaze was first developed in Germany around the 15th century. Up to the early 20th century, salt glazing was of prime importance to society as it produced wares that were waterproof, impervious to acidic liquids and strong enough to withstand daily use without readily chipping or breaking. The process was used for everything from mugs and jugs to sewer pipes and chimney pots. Salting is now redundant as an industrial process. This European technique has been adopted by a number of studio potters within Europe and beyond to create a diverse range of work which is highly regarded amongst potters and pottery buyers alike. These pieces were fired in a 50 cubic feet wood fired kiln over a period of 24 hours. The kiln is fired to a temperature of 1300 degrees centigrade with off-cuts from a local saw-mills. At the latter stages of the firing, common salt, which is composed of sodium and chlorine, is dampened and wrapped in ‘packets'. These are placed into the kiln on pieces of timber to meet the path of the flame. The sodium in the salt reacts with the silica in the clay (clay is made predominately of silica and alumina) to form a soda glass – the glaze layer on the surface of the clay. Salt resisting material is applied to the shelves and kiln furniture prior to the firing to prevent the work sticking to the shelving. This leaves the characteristic marking on the base of the pots and on the rims of the lidded pieces. Salt glazing achieves qualities of texture, colour and surface that no other technique can give. Each piece is totally unique and a record of the salt and flame movement in a particular firing. In a world of mass production and uniformity, it is a challenging and hugely rewarding process.